Welcome back to Chris’s Gameplay Iteration Corner! As usual when I show up here, we’re talking about improvements to gameplay systems. 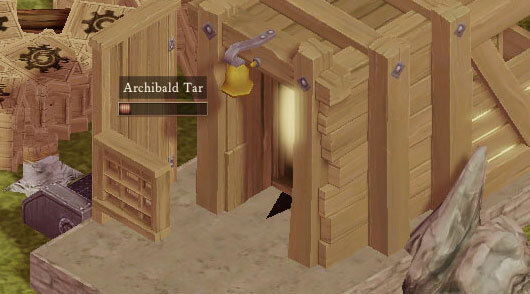 One of our major goals at the moment is fleshing out some of the less-interesting buildings in the game. Improvements to the pub are in-progress as of the latest build, the chapel and naturalist office have improvements planned, and a major overhaul has gone into the building we’ll be talking about today – the humble Mine! The old style of mines was more or less a placeholder – a simple window telling you the depth of your mine and what it could output. There was no real choice involved, other than plopping your mine down near a naturalism beacon and assigning a work crew. Depth also had an odd – and unclear – effect; the deeper you went, the longer it took to work in a mine, punishing players who used the same mine for too long of a period. 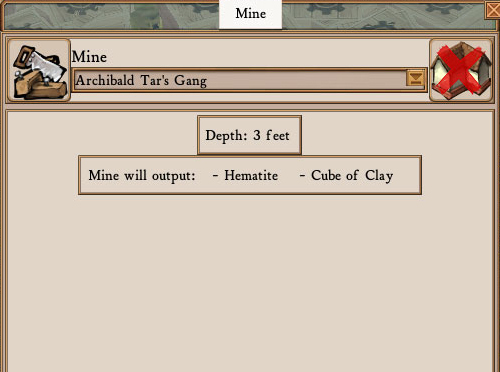 The original, barebones mine interface. 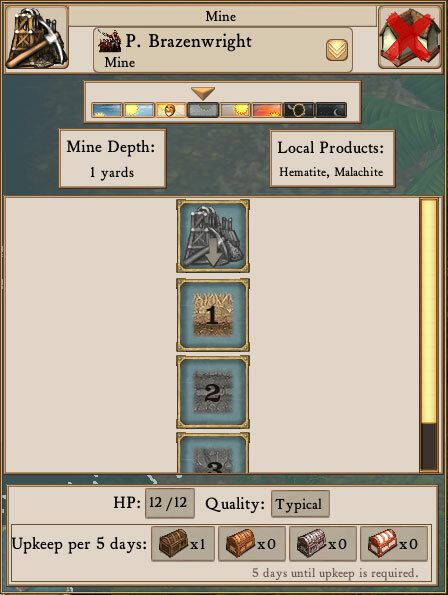 The new mine – now available in the Experimental branch – allows players to choose from a variety of strata to mine in – each one offers a unique range of products, from clay in the shallower strata to the potential of discovering entirely new ore veins in the depths. This means that rather than setting and forgetting, you have some choices to make with your mines: They can mine deeper for metal ores, or choose to mine basic raw materials – such as sand – which will always be available in the appropriate stratum should they be needed. Deeper strata can only be accessed when a certain mine depth is reached and may require certain modules to unlock. Mine depth is increased by deepening your mine, accomplished at a slow rate by regular mining activity, or much faster by using Mineshaft Digging, a new option which creates no output but rapidly increases depth. The lower depths will require building new modules to be able to access, bringing the module-based gameplay that features so heavily elsewhere properly into the Mine. With this system in place, the Mine is starting to become a much more interesting place to work. There are a few future plans that will really tie the colony together – as part of the Naturalism overhaul, we’ll be changing how survey beacons work and how ores are found, making the two buildings complement each other in what will hopefully be a rather interesting way – more on that later! Posted in Clockwork Empires	| Tagged but even as Gameplay was the foundation of their wealth, it's not a chris blogpost without an animated gif, so also it was their destruction, they delved too greedily and too deep, whose mine? I’d be surprised if the lowest levels don’t award some sort of Eldritch Ore or Flesh, with the risk of unleashing heck. As you have added lamps, how about roads? Still a no-no? They would really improve the look of my colonies! So I don’t own the game yet… so could someone explain what the significance of the gif? How does the filling bar relate to the post? There is a colonist in that mineshaft mining, and the job completes when the bar fills up. The colonist will come out with a chunk of ore.
Oh, about how it relates to the post specifically… not sure. Just a final gif showing a new style mineshaft in action? Looks good and I have been looking forward to it for a while !